Dublin BIC today announces dispatch technology company iCabbi is targeting €15M annual recurring revenue (ARR) within two years with expansion in the UK and US. The company has seen exponential growth of 300% in the past year on the back of seed funding rounds totalling €1 million in 2012 and 2013. These were led by Dublin BIC through the AIB Seed Capital Fund and co-investment from Enterprise Ireland and the Bloom Equity Group, a HBAN business angel syndicate. The news comes following iCabbi’s recent announcement that it would be adding 20 jobs in 2016 to its Dublin headquarters in Howth this year. Positions are spread across research and development, customer service, sales and marketing, and technical support. The company has a significant presence in Ireland, with more than 70% of private taxi companies with 50+ cars using its software. iCabbi has also established a strong presence in the UK with more than 50% of large taxi companies (500+ cars) using its software. 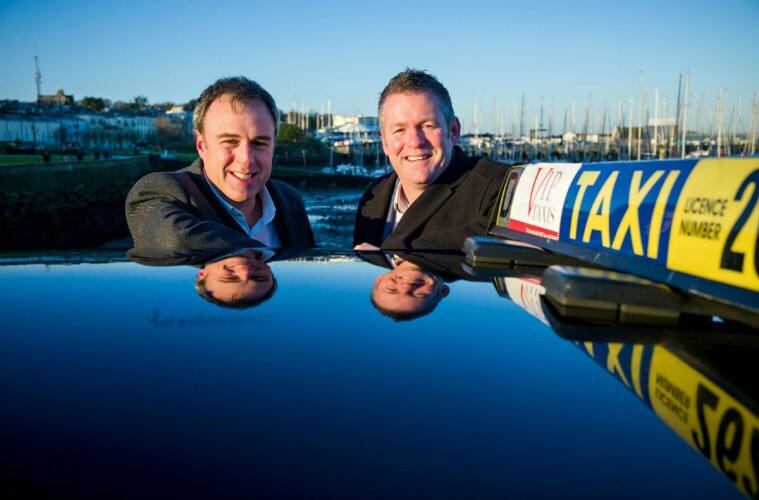 To grow this presence further, it is also announcing the purchase of Disc (formerly Solution Telecom) in a deal worth €1.2 million, which has been developing telephony solutions in the for taxi industry since 2010. The Dublin BIC-supported company has now set its sights on the US, its highest growth potential market. 17 companies with 2,000 cars are currently working with iCabbi, with 30 more companies covering 10,000 cars scheduled to go live this year. US revenues are expected to hit €3.6 million by the end of 2016.
iCabbi’s fully cloud-based end-to-end solution brings a taxi company’s operation into the 21st century. It connects drivers with passengers looking for a taxi, similar to Hailo and Uber, allowing taxi companies to compete with the online taxi giants. The system includes a customer booking app, website booking engine, a ‘track my taxi’ feature, automated phone system and SMS text backup. Gavan Walsh, Founder and CEO, iCabbi, said: “We are expanding our presence and growing our team due to the incredible demand for our systems. With the support of Dublin BIC, AIB Seed Capital Fund, Enterprise Ireland and the Halo Business Angel Network (HBAN), we have set ambitious but pragmatic targets to become the largest technology provider to taxi companies in Ireland, the UK, and US.